1862 Agoston Haraszthy de Mokcsa brought 1,400 varieties of grapevines from Europe to California in 1862, and planted the first large vineyard in California in the Sonoma Valley. After the phyloxera blight destroyed much of Europe’s vineyards, some of these same vines, now on resistant American root stock, helped save the European wine industries. 1931 Russian ballerina Anna Pavlova died. A “Povlova”, a meringue with whipped cream and fruit, was named after her. 1961 Wilhelm Koppers died. This cultural anthropologist developed theories on the origins of society based on studies of hunter-gatherer tribes. 1963 Three million gallons of soybean oil flooded streets in Mankato, Minnesota when a storage tank ruptured. Eventually the oil ended up in the Mississippi River. In the spring, more than 10,000 ducks were found dead in the wetlands along the river. Pi day indeed is coming soon! 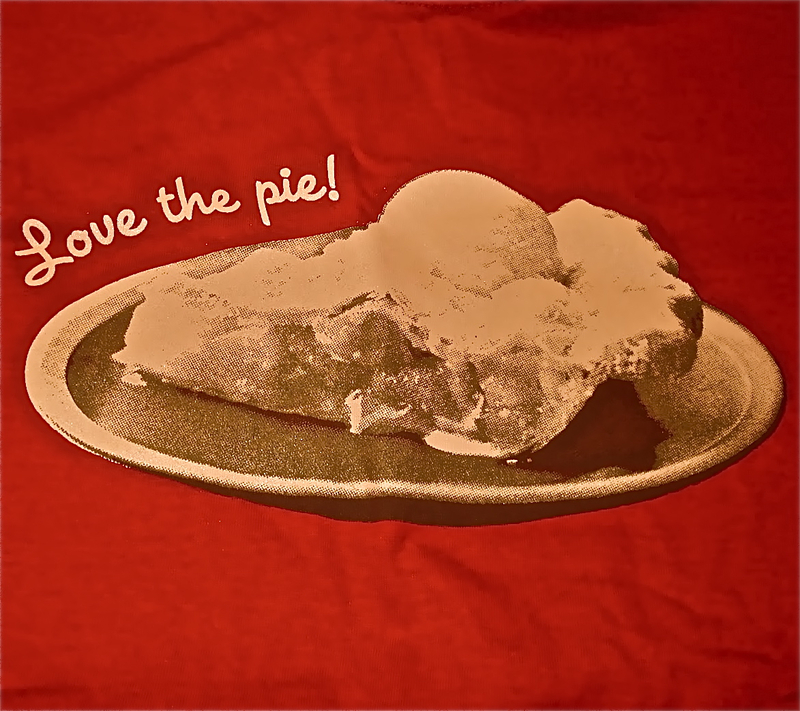 I can’t believe I missed Pie Day! Oh well…like I need an excuse to eat pie. mmm…pie. Living in Singapore, there is a scandalous lack of pie here…your post makes me hungry and perhaps a bit homesick, but grateful for all the good pie I’ve had when in the U.S.
mmmm…pie! Yumminess. I wonder which type of pie was originally celebrated? Thanks for liking my blog… glad I can get to know yours. I really think the Pavlova should have its own national day too! Now *this* is a holiday worth celebrating. But can’t we have Pie Day at least once a week? Goodness, now that I know, we may have to go get pie after dinner! Thanks for “liking” my gluten-free banana bread recipe.